There are many different types of articles that can help fantasy managers prepare for each round. 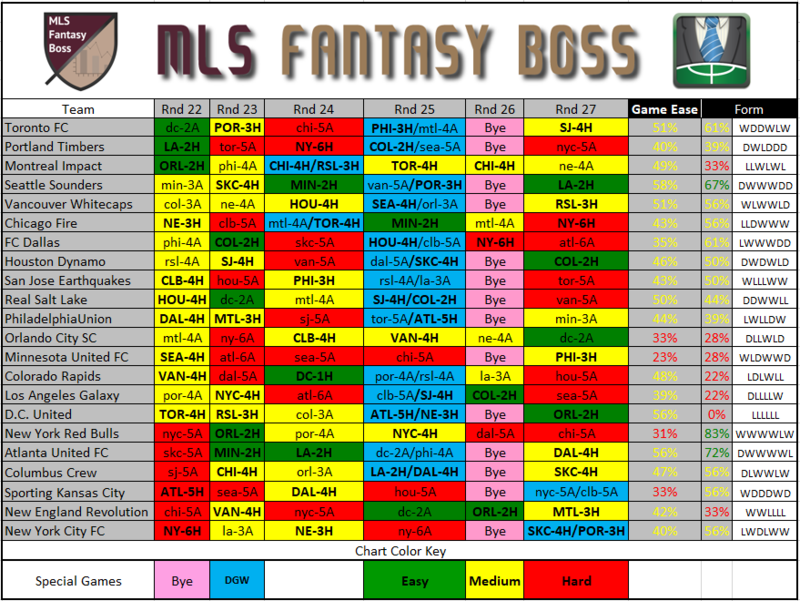 Player recommendations, injury updates, and captain polls always help, but MLSFB started with simple charts difficulty. Let’s get back to the basics. 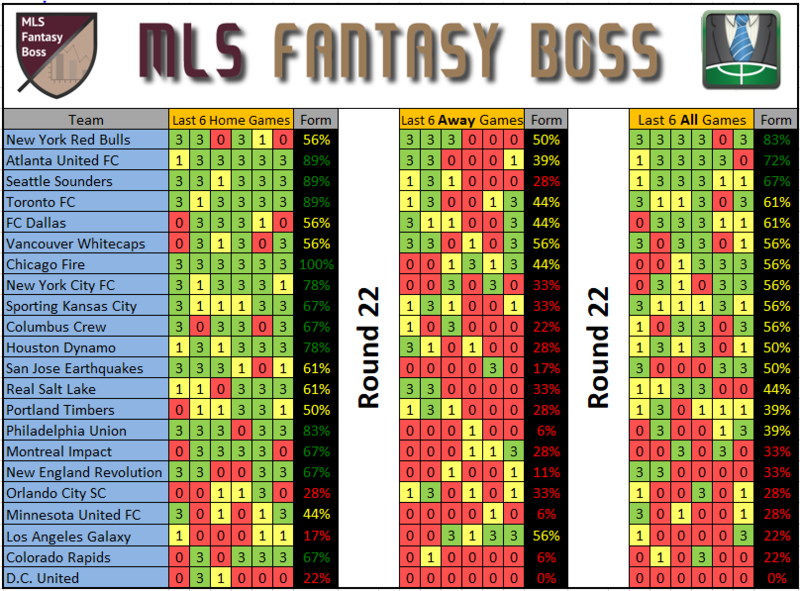 Here are the 2017 Round 22 Form Difficulty Charts for the MLS Fantasy season.